USB Logger is a service-only application that tracks USB device events, such as when a USB device is inserted or when a file is copied\moved from\to the USB device. It will also log the date and time, the PC username, useful device information, and the full file paths of copied files. 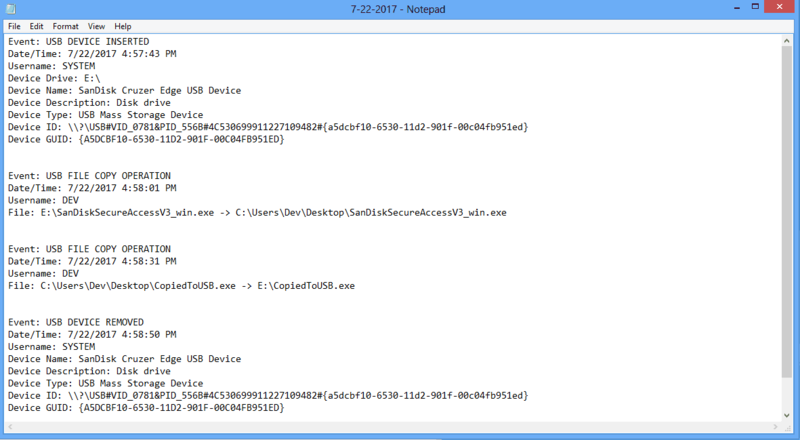 This is useful to completely track important USB events and monitor what files are copied from\to the USB device. Easily discover if a user has “stolen” (copied or moved) a file from the USB or if he/she copied a file from the PC to the USB device. You can edit the Config.ini file to edit the service configuration. Since this is a service application, it has no GUI and it runs in the background consuming very little memory. This program doesn’t fully support Windows 10, in particular it can’t log files copied to\from USB devices from Explorer. Track useful USB events, such as when an USB is inserted or removed. 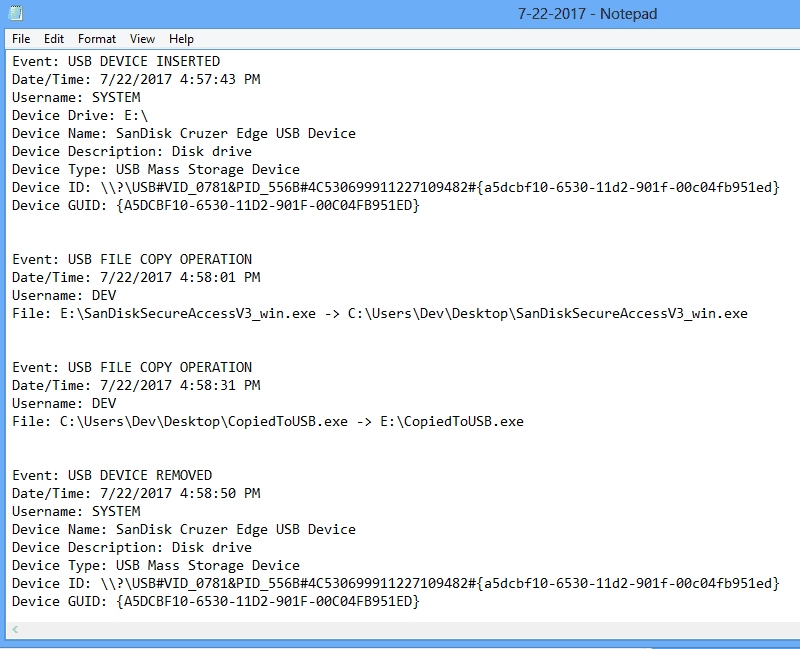 Discover if a user has “stolen” (copied or moved) a file from	o the USB. Log the USB event type, datetime, device name, device ID, device GUID, and more.